Updated 27 May 2016. See Another Chance to Get Serious on Drug Pricing. A pediatric cancer specialist and venture capital executive argue for establishing a framework for pricing gene therapies to treat inherited and other diseases, before these treatments are approved by FDA. Stuart Orkin, a pediatric oncologist and hematologist at Dana-Farber Cancer Research Center in Boston, and Phillip Reilly, a partner with Third Rock Ventures in Boston, propose factors for pricing gene therapies in a commentary published today (26 May 2016) in the journal Science. Orkin and Reilly recommend that the key parties developing and regulating new treatments get a better handle on the costs to health care providers and consumers for new therapies that transfer healthy genes to patients replacing faulty genes causing disease, or edit the genomes of patients to remove genes causing inherited disorders, such as sickle cell disease and cystic fibrosis. Problems with gene therapies in the 1990s, note the authors, have been largely overcome, and some treatments have now advanced into clinical trials. As a result, regulatory authorities, such as the FDA, will soon be reviewing these treatments for approval. In addition, say Orkin and Reilly, many gene therapies target diseases affecting small segments of the population, often children. Thus little evidence is available on the long-term effects of these treatments, which creates uncertainties in estimating their value and subsequent prices. Nonetheless, the industry and research community need to address questions of value and pricing before their products advance to commercialization. One key factor in establishing value is the current cost for managing genetic diseases. Orkin and Reilly list 4 of these disorders: cystic fibrosis, Gaucher disease, hemophilia A, and sickle cell disease. Managing each of these diseases costs between $25,000 and $300,000 each year, with lifetime costs totaling as much as $10 million. Thus, while none of these disorders affect as many as 100,000 people in the U.S., they take an large economic toll. Sickle cell disease, for example, affects about 70,000 people in the U.S., yet the total cost of their treatment exceeds $1 billion. Another factor that can help understand the value of gene therapies is the price for clinical interventions, such as organ or bone-marrow transplants, that can cost from $500,000 to $1.2 million in the first year, but are generally accepted by patients and payers: insurance companies and Medicare. These known prices, say the authors, can provide a starting point for treatments designed to be one-time or long-term interventions. 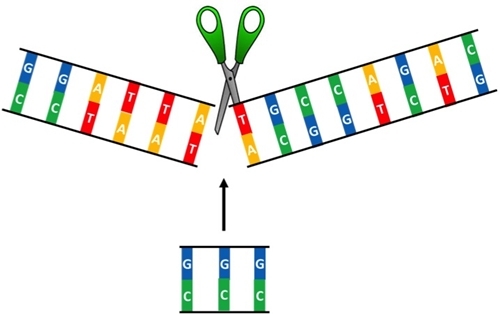 Procedures for gene therapy treatments. Techniques that require multiple interventions and extensive lab work, such as acquisition and culturing of blood-forming stem cells or treatments with benign viruses, should cost more than therapies with less intensive requirements. Development costs. The authors estimate it takes at least 8 years and several hundred million dollars to develop a gene therapy, and that’s before amortizing costs of failed drugs. Since many gene therapies address rare diseases, however, they raise the question for discussion if drug prices for more common disorders be increased to cover the costs of treating rare diseases. Production costs. Orkin and Reilly note that manufacture and quality control of benign viruses to deliver gene therapies is very expensive. In addition, delivery of these treatments to some organs can also be difficult. No published data are yet available on this part of the model, but case studies may provide some hints. Size of the treatment population. The smaller the target population for gene therapies, say the authors, the higher the price to be expected. For ultra-rare diseases, the authors recommend establishing a federally-funded not-for-profit organization to encourage development of treatments, where there is little likelihood of recovering costs in the marketplace. Quality of the outcome. Orkin and Reilly call this the critical factor, where efficacy and duration of the treatment should help determine its price. The authors suggest considering payment models, combining upfront and annual payments over a long period of time for expensive drugs that continue to work as promised. They also note that few health insurance companies today carry these kind of large continuing financial obligations on their books. To get the discussion started, the authors recommend considering partial solutions, such as putting the burden of retreatments on the drug developers, and amending the Orphan Drug Act to redirect benefits already received by companies to reduce prices or co-pays for these drugs. They also suggest a National Academies effort to streamline the regulatory process for ultra-rare disorders. Orkin studies inherited diseases, including research published in September 2015 identifying a small piece of DNA that can circumvent the faulty gene responsible for sickle cell disease, thus opening a therapy for gene editing. Reilly is co-founder or scientific adviser to 4 life sciences companies, including bluebird bio — the company’s name is spelled in all lower-case characters — and Voyager Therapeutics.